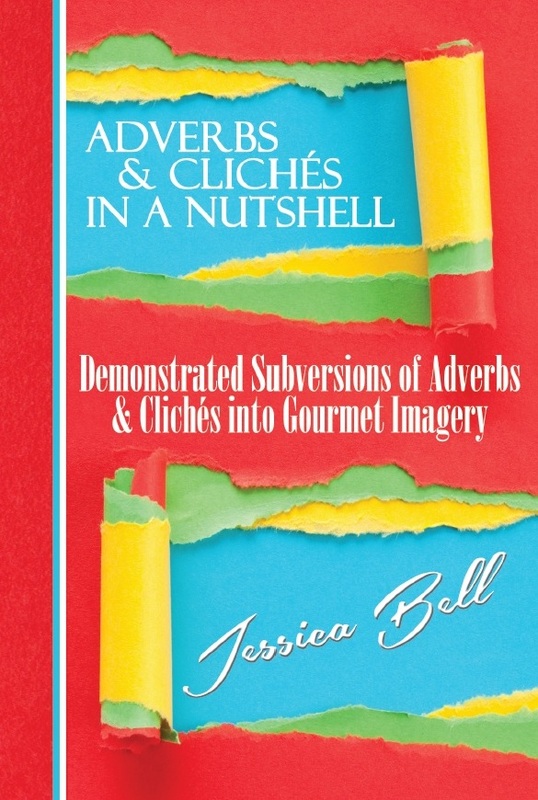 Jessica Bell has a new writers' advice and exercise book out titled, Adverbs and Clichés in a Nutshell: Demonstrated Subversions of Adverbs and Clichés into Gourmet Imagery. You might recognize Jessica's name--she is a great friend of WOW!, and we have featured her books before: Show and Tell in a Nutshell and The Book. So what will writers find in Jessica's new book, Adverbs and Clichés in a Nutshell? After a short and informative introduction, which explains why Jessica wrote this book and how to use it, readers are presented with 34 examples of clichés and adverbs, used to describe something, and then, a unique, much-better example of describing the same thing. She also provides a blank page for you to try your hand at writing descriptions without using clichés or adverbs. I love this format. Jessica has a knack for making her books simple, to-the-point, and useful. This is WHAT busy writers and readers need--we don't need a 200-page how-to book to sift through. Using adverb: Men are habitually stubborn. Using cliché: Men never change. Old habits die hard. Unique example: Men cling to habit like sap to a tree trunk. Examples range in length from simple ones like this above to more complex paragraphs. I also like this aspect because it allows readers to see how to change one sentence to make it more unique or one whole paragraph to get rid of clichés and adverbs. Besides the lists, examples, and exercises, the book also includes two helpful indexes: one of adverbs and one of clichés. I found the cliché index extremely helpful. Have you ever written a cliché and not even realized it until your critique group pointed it out? That happens to me sometimes. This list can help with your writing and self-editing. Read it, and then vow not to use these in your writing! 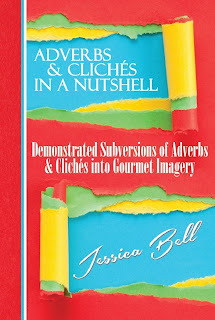 I am excited about Jessica Bell's new "Nutshell" series, and Adverbs and Clichés in a Nutshell is another wonderful addition. I can't wait to see what else she has in store. This book will make a great gift for a writer or a writing teacher or an addition to your library. Check out the book on Amazon. Review by Margo L. Dill, WOW! instructor and editor, author of Finding My Place: One Girl's Strength at Vicksburg. Margo--That HAS happened to me. I did use something that I didn't recognize was a cliché, but my critique members spotted and called me out on. This sounds like a good reference book to have on my shelf. Thanks for this post. I LOVE the Nutshell series. Jessica is great at pinpointing problems and solutions through example. I'm a visual learner, so I like having things presented clearly in front of me. This one is more of a workbook and a lot of fun to work through! I'm not a big adverb person, but I tend to use clichés in my nonfiction article writing--not so much when writing fiction. I guess it's because I'm trying to relate to everyone in nonfiction. But I found the exercises to be quite useful for sparking creativity. Even if you don't have a problem with adverbs and clichés, the exercises are writing prompts that are bound to inspire good writing and perhaps a few story ideas! I actually like reading about grammar stuff, so this looks interesting. The example about writing descriptions without using clichés or adverbs was helpful! Sounds helpful! I need to check this out. Adverbs = PET PEEVE. If it is adding a fresh detail to a story, an adverb can serve a purpose. If not, cut it out! A college writing prof told me to highlight adverbs in a manuscript and trim them because they usually take up 1/3 of an unedited manuscript without making an impact. It soldifies writing.